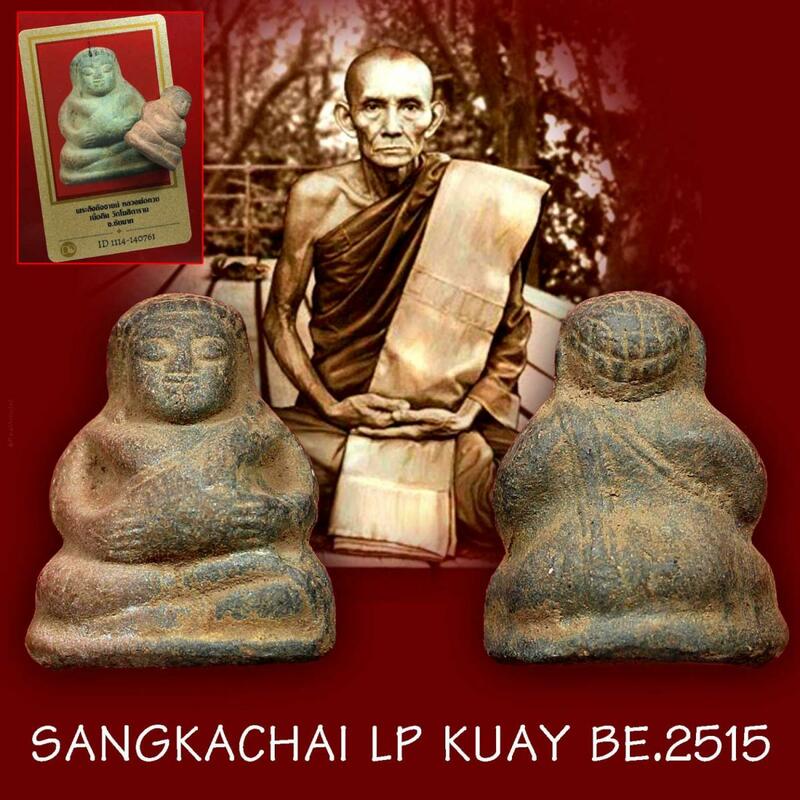 Item 名稱: MONEY WEALTH RICH SANGKAJAI HAPPY BUDDHA CLAY THAI AMULET LP KUAY 2515 +CERT. LP KUAY BE515 himself blessed with cert card from DD-PHRA company. This Phra Sangkajai is made from Nur Din (CLAY) material. Phra Sangkajai amulet is super well known to all on Superb Wealth Fetching and Great Luck. Those who wear Phra Sangkajai amulet will always live with full of prosperity, great wealth, good fortune and good luck. 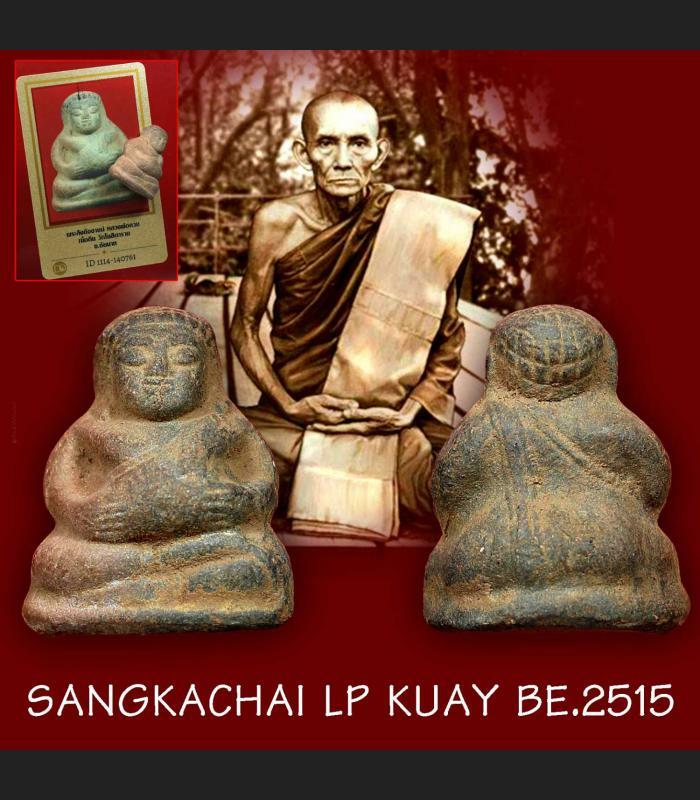 Lp Kuay was quarreled to be the best wiccha monk of all time by many. LP Kuay was no stranger to devotees among South East Asia for his high level of Dharma practicing. LP Kuay was one of the powerful monk at all times. He was a disciple of LP Sri of Wat Phra Prang and LP Doem of Wat Nong Pho (The number 1 Singh maker in Thailand). It was mention that LP Kuay forefinger was so powerful that when he pointed to the glass, the glass would break. Another incident was about a mice where it ate LP Kuay amulets and when a student tried to use a sharp steel to pierce it the steel could not go through it's skin. There was 1 time during a mass amulet blessing ceremony at Wat Thathong, Supanburi Province. LP Toh of Wat PradooChimplee pointed to LP Kuay and asked who is that monk over there. And he mention that his meditation powers are so bright and strong! Amulets made by LP Kuay is all time regard as 1 of the most powerful and effective amulets.